That may not look like much, but it's been there since either 1791 or 1792. Not too shabby! 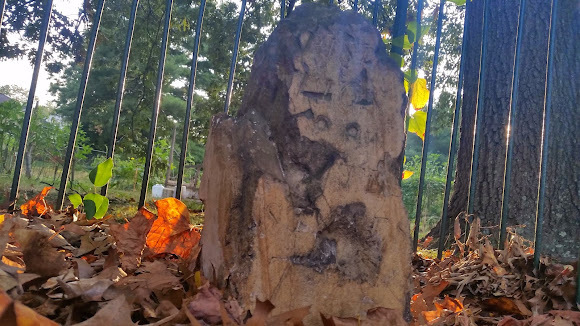 What you're looking at is a DC Boundary Stone, specifically Southwest Stone No. 7. The story goes that there were 40 such stones placed to mark off the 10 square miles of land that would become DC. Check out this map to see just how accurate the survey was. With fancy shmancy GPS technology we can now tell that they were between 4 and 18 feet off in their survey. Pretty impressive considering this was 1790's tech. 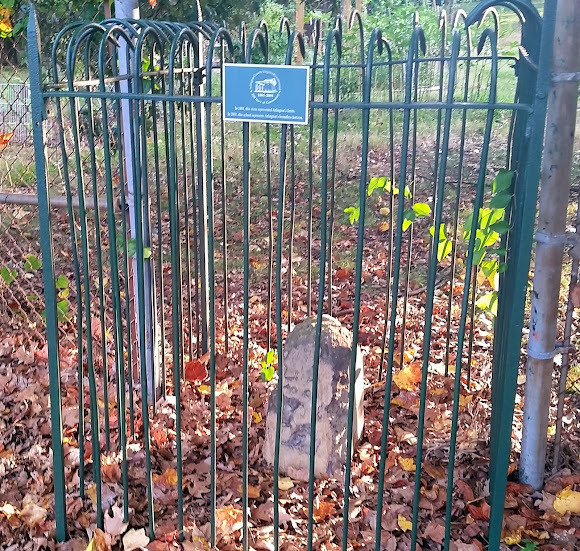 The fencing that surrounds the boundary stones was installed by the Daughter's of the American Revolution in 1915, which certainly has gone a long way to preserving them. But still, it's hard to believe we haven't been taking better care of these markers. 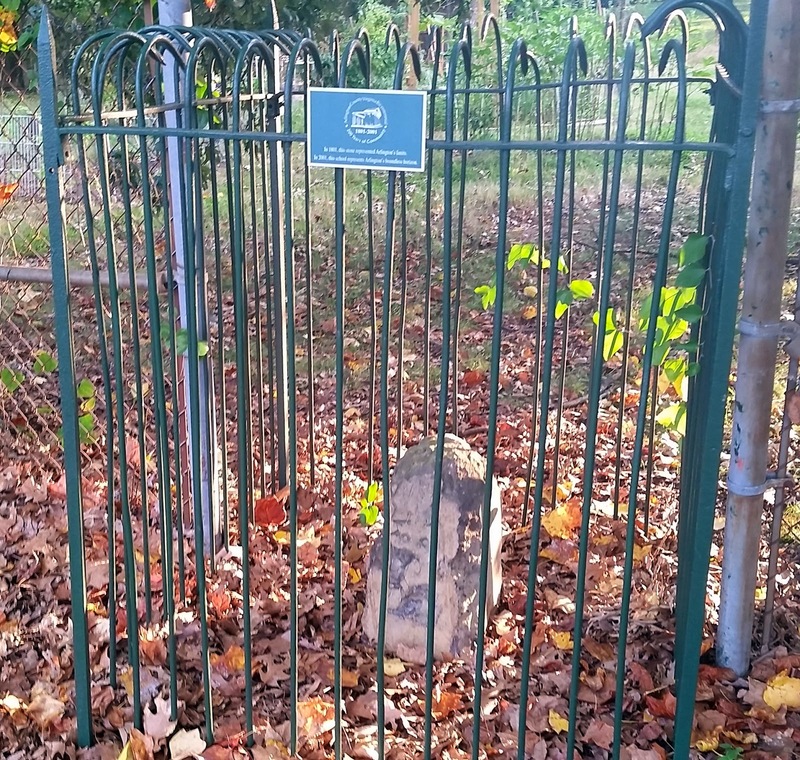 There are a handful of other Boundary Stones to find in Arlington, you can get their location's here. 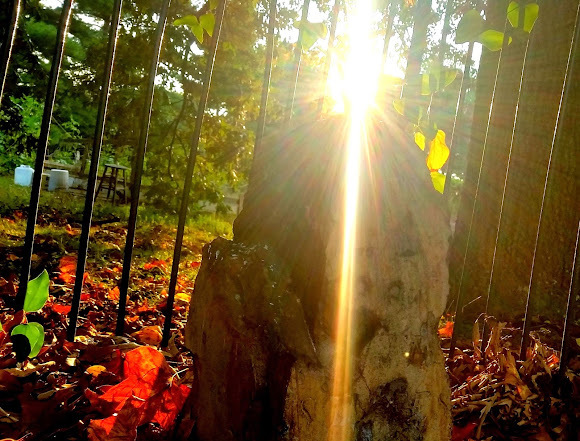 You can find all the locations here, and a narrative of finding them here. I just love how I can live in a place for 10+ years and still make remarkable discoveries!